1. Rakesh Garg, Alka Bhatnagar, Sushma Bhatnagar, Seema Mishra. Incidental finding of organized thrombus in right inferior pulmonary vein extending in left atrium in the patient scheduled for esophagectomy: What should an anesthesiologist look for? Journal of Anaesthesiology Clinical Pharmacology April-June 2014 ; 30(2): 301-2. 2. Rakesh Garg. Anesthesiologists, Anesthetics, and Cancer metastasis. J Anaesthesiol Clin Pharmacol 2014 April-June;30(2):174-6. 3. Rakesh Garg. Perioperative Care in perforation peritonitis: Where do we stand? Commentary. J Anaesthesiol Clin Pharamcol 2013;Oct-Dec 29(4):454-56. 4. Sushma Bhatnagar, Saurabh Joshi, S.P.S. Rana, Seema Mishra, Rakesh Garg, Syed M. Ahmed. Bedside Ultrasound-Guided Celiac Plexus Neurolysis in Upper Abdominal Cancer Patients: A Randomized, Prospective Study for Comparison of Percutaneous Bilateral Paramedian vs. Unilateral Paramedian Needle-Insertion Technique. Pain Practice 2014;February 14((2):63-68. doi: 10.1111/papr.12107. 5. 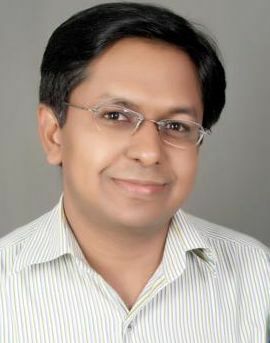 Rakesh Garg. Airway management techniques for one lung ventilation in children - what else! Indian Journal of Anaesthesia (Indian J Anaesth) 2014:January-February 58(1): 100-101. 6. Rakesh Garg, Rakesh Kumar, Sunil Kumar, Anil Misra, Nishkarsh Gupta. Awareness of cardiopulmonary resuscitation among medicos- an observational study. Asian Archives of Anaesthesiology and Resuscitation 2013;October-December 73(2):2114-22. 8. Rakesh Garg, Ramesh Chand Gupta. Oxygen, Anaesthesia Agent and Flow Analysis in Anaesthesia Machines: Review article. Indian J Anaesth 2013; Sep-Oct 57(5):481-8. 9. Mridu Paban Nath, Rakesh Garg, Tapan Talukdar, Dipika Choudhary, Anulekha Chakrabarty. To evaluate the efficacy of intrathecal magnesium sulphate for hysterectomy under subarachnoid block with bupivacaine and fentanyl -a prospective randomized double blind clinical trial. Saudi J Anaesth. 11. Sonali Banwait, Sujata Sharma, Mridula Pawar, Rakesh Garg, Rajesh Sood. Evaluation of single epidural bolus dose of magnesium as an adjuvant to epidural fentanyl for postoperative analgesia - a prospective, randomized, double blind study. Saudi J Anaesth. 13. Shilpa Sharma, Amita Sen, Arti Maria, Jaswinder Kaur, Ashok Kumar, Rakesh Garg, Ajay Goila. Pharyngoesophagoplasty, Posterior laryngo- tracheoplasty and Esophagotracheoplasty for Type III Laryngo-tracheo-esophageal cleft with a distal tracheo –broncho-esophageal cleft. European Journal of Pediatric Surgery (Eur J Pediatr Surg) 2012; June 22(03): 260-263. DOI: 10.1055/s-0032-1308708. 2012 Nov-Dec;32(6):656-8. doi: 10.51444/0256-4947.2012.26.5.1113. PMID:23396031[PubMed - indexed for MEDLINE]. 14. Rakesh Garg. Low flow anesthesia and volatile anesthetic agents – Concerns. J Anaesthesiol Clin Pharmacol 2012;October 28(4):475-6. 15. Rakesh Garg. Journal Scan. ISA Bulletin, The official Monthly Bulletin of Indian Society of Anaesthesiology, Delhi Branch June 2012;Volume 2: 20-21. 16. Rakesh Garg, Ramesh Chand Gupta. The use of intrathecal dexmedetomidine and magnesium. Journal of Anaesthesiology Clinical Pharmacology April-June 2012;28(22):71-2. 17. Amar Pal Bhalla, S Mehta, Rakesh Garg. Anaesthetic management of a child posted for excision of lymphangioma of the tongue. Singapore Med J 2012;53(3):45-8. 18. Ravinder Kumar Pandey, Hashir Ashraf, Amar Pal Bhalla, Vanlal Darlong, Rakesh Garg. To study the success rate of radial artery catheterization at various degrees of wrist angulations –A randomized, prospective study (Abstract presented at WCA 2012). British Journal of Anaesthesia 2012;108 (S2): ii128. 19. Bijaya Kumar Shadangi, Rakesh Garg, Ravindra Pandey. A randomized, placebo-controlled, doubleblind study of the analgesic efficacy of extraperitoneal wound instillation of bupivacaine and morphine in abdominal surgeries. Anaesth Pain & Intensive Care 2012; May-August 16(1): 169-7. 20. Rakesh Garg, Saurabh Joshi, Seema Mishra, Sushma Bhatnagar. Evidence based practice of chronic pain-review article. Indian Journal of Palliative Care 2012;September -December18(3):155-61. 21. Rakesh Garg. Journal Scan. ISA Bulletin, The official Monthly Bulletin of Indian Society of Anaesthesiology, Delhi Branch July 2012;Volume 3: 17-18. 22. Rakesh Garg. Journal Scan. ISA Bulletin, The official Monthly Bulletin of Indian Society of Anaesthesiology, Delhi Branch August 2012;Volume 4: 21-22. 23. Ravinder Pandey, Hashir Ashraf, Amar Pal Bhalla, Rakesh Garg. Optimal wrist angulation shortens time needed for radial artery catheterization : a prospective, randomized, and blinded study. Acta Anaesth. Belg., 2012, 63, 187-190. 24. Rakesh Garg. Journal Scan. ISA Bulletin, The official Monthly Bulletin of Indian Society of Anaesthesiology, Delhi Branch September 2012;Volume 5: 19-20.